It was my mum’s birthday last month and, for the first time ever, I struggled when it came to thinking of what to get her. I went out and bought her a bottle of her favourite perfume, sweets, a mug (we have a family tradition of buying each other mugs on special occasions – I don’t know why), and, of course, a card. However, I still didn’t feel happy with that. I usually make my gifts as thoughtful as possible, and since I buy on behalf of myself and my four siblings, I wanted to be able to give her something worth more than just material value; I wanted to be able to gift her with memories with her children that she could always look back on and remember. Besides, she’s my mum. I only have one, and she has spent nineteen years of her life raising children and being the best parent we could wish for, so she deserves more. That’s when I decided to book a glamping trip. She has always wanted to go, so I knew that the money it would cost would be worth it. I could always make the money back, but I can’t always make the memories. 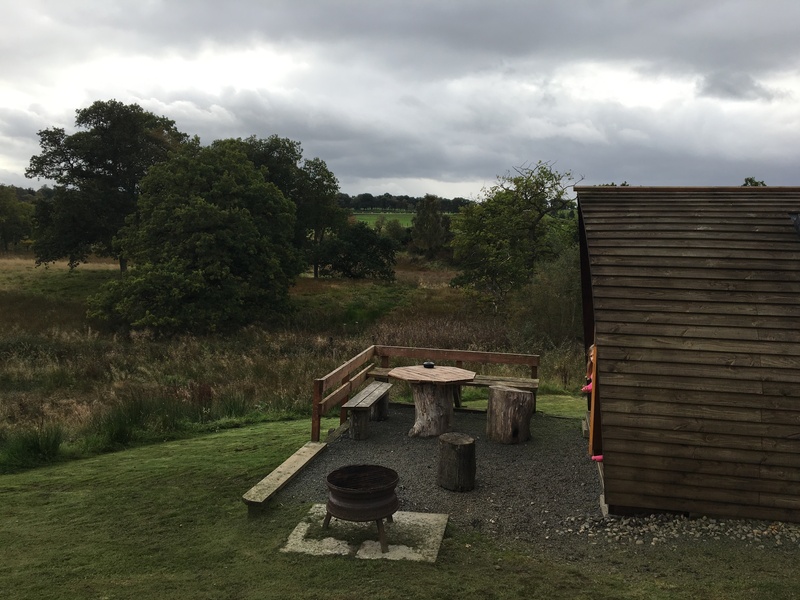 I booked us a glamping pod at Eden Leisure Village, around the Cumbernauld area – not too far from Glasgow. It is able to fit five people inside so my three little crazy sisters came along for the experience, too. When we arrived, after a considerably long road trip, we were met with a large reception area with communal areas and facilities, like a sitting room and a kitchen, for the guests to use. I reckon this is what makes it ‘glamping’ rather than standard camping, and I’ll admit that I much prefer it! While we were checking in and having a look around the reception area, we discovered that we were the only guests on the entire site. The school that my sisters attend came off for its October holidays earlier than the schools in the Cumbernauld area, meaning that everyone else was still at school/work and we got to have the whole place to ourselves. This wasn’t just a bonus for us, but a good thing for guests as well, as my sisters are not the quietest and if you were after a chilled out night, you wouldn’t get it with them around. The weather wasn’t the best when we went so wellies were the way forward. This didn’t stop my sisters running around the grass, though, which was a little problematic when one of them went flying down a hill and landed on her bum. To make matters worse, we all had to then get in the car where our fresh bedding was for sleeping with!! Muddy disaster. At least that will be a memory to look back and laugh at, and it’s good to know that they had fun. On the same day as arriving at the village, we took a detour to Palacerigg Country Park. 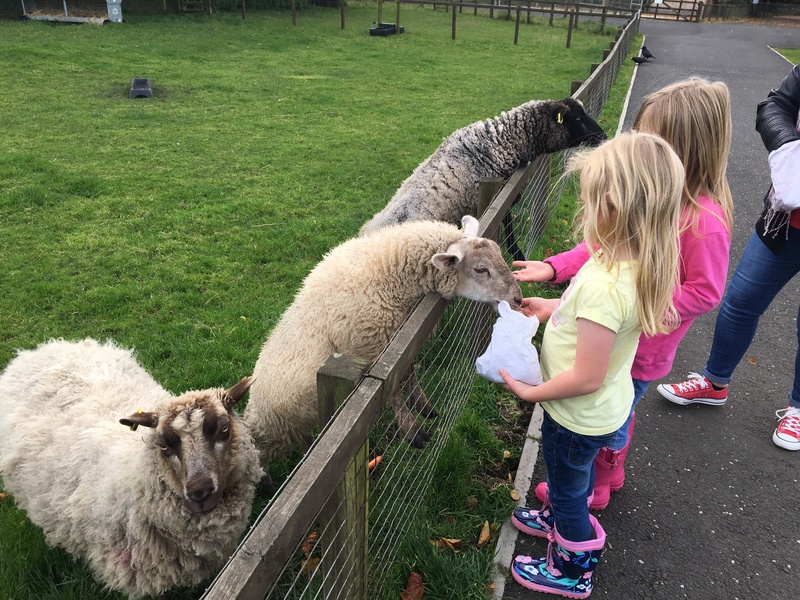 Here, we were able to pet and feed goats, sheep, chicken, guinea pigs and rabbits! We were all in our element as the park was very quiet, meaning we got to spend lots of time with the range of different animals. There’s also a park there, which my sisters absolutely loved – and if I’m honest, so did my mum and me! As well as this, there are shopping centres and supermarkets all within a ten minute drive from the village, so there’s lots to do and visit. 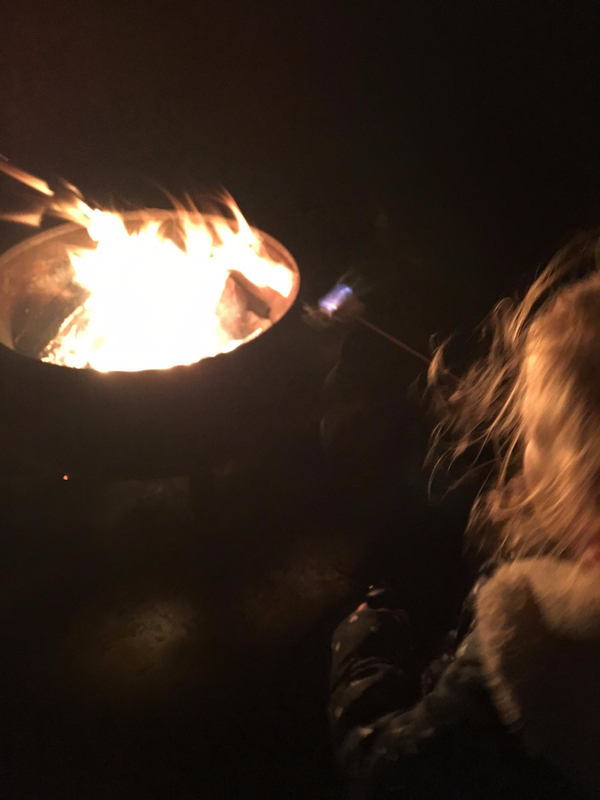 All in all, I would definitely recommend glamping! It’s such a fun experience, like no other, and it really brings the family together. 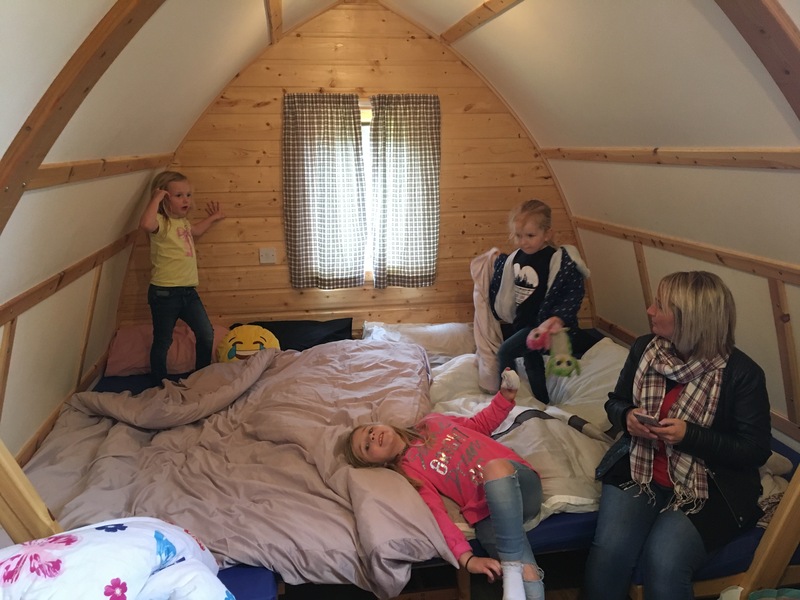 The particular glamping site that we visited also offers a variety of spa treatments if you’re interested in relaxing, or wild activities such as zorbing if you’re up for more of an adventure! I want to go back and experience both the spa and the activities! 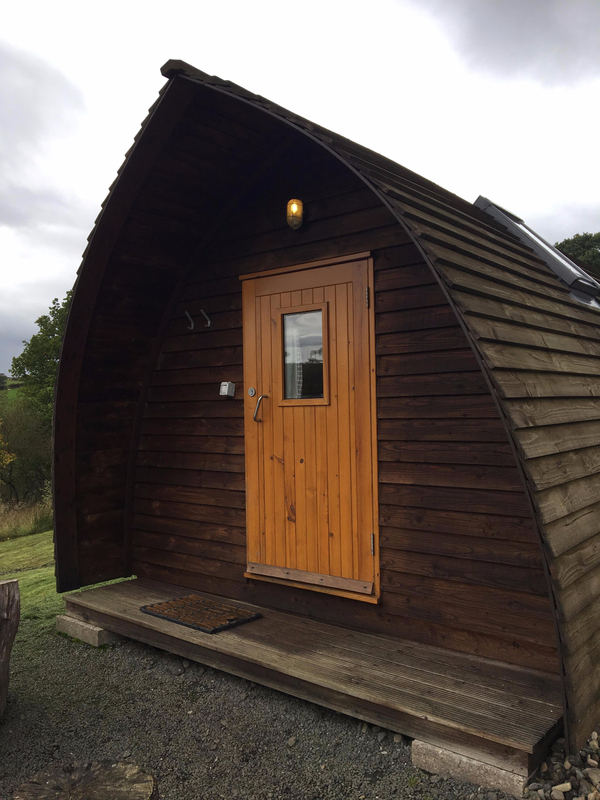 Plus, there are other accommodation offers available such as a Hobbit Hut, but the glamping pods were the only ones that would fit all of us. However, I would say that you need a car or some form of transport if you’re planning on staying for more than one night as you may find yourself twiddling your thumbs. Apart from that, I thoroughly enjoyed my stay and I definitely think I did a good job with the birthday present, if I say so myself! Have you been glamping before? Comment below and tell me what you thought of it! Click here to see where we stayed!